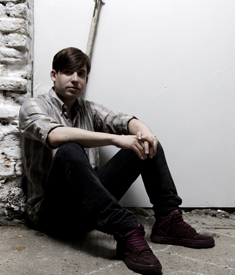 After more than eight years of global touring, seven solo albums, countless collaborations, label-head tastemaking and vital artist-incubator in the USA's most critical beat-making cities (SF, Chicago, NYC), Eliot Lipp's status as an electronic music pioneer is known to scene connoisseurs and weekend warriors alike. Lipp's omnivorous tastes are apparent, from the obvious funk and myriad manifestations of hip-hop though less explicit reference points as jazz fusion, folk and techno. His well-earned reputation as a producer's producer stems, in part, from his craftsmanship. Never content with well-worn breaks and effects, his work incorporates a fetishistic love of analogue gear with sampledelic flourishes, intricate rhythmic patterns and more than a few leftfield surprises. But his melodic instincts and tunefulness are what have earned him such wide appeal, his songwriterly connection to music's storytelling possibilities, even without words.